What Now for Accessibility at Apple? Last year I voiced my concerns that Accessibility may be left to degrade (especially if the accountants took over) but maybe I was wrong. Most commentators seem to be saying that taken as a whole, that the transition seems to have been successful. Since Jobs’ passing, Apple’s shares have risen about 75%, from $378.25 on Oct. 5 last year to about $665 today. 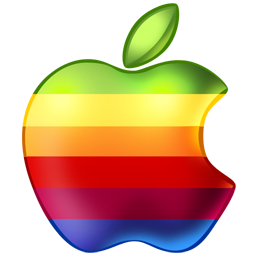 In the process, Apple has become the most valuable company in the world. But for me this is still the wave created by Jobs leadership. But look at the new innovations coming from apple – let me think… If anything apple is about the user experience, and the joined up technology which makes the experience better, seemless, targeted. Over the last year we’ve seen new OS, new hardware, new cases – all important to be sure – but what else is there at the UX end? With Microsoft knocking on the UX door with the excellent Windows 8.5 UI, representing a fundamental move in how we see and use the ‘desktop’ – maybe even desktop is the wrong word – noticeboard maybe better. There are many committed accessibility people at apple – there were many committed Newton people at apple too. While we are surfing the current profit wave we should see maintained development and maybe some more innovative accessibility developments. But I still think that when profits drop, accessibility in many corporations is seen as good to have but not fundamental. It’s this organisational viewpoint that needs change across the sector.